Training, retraining, and yet more training are not the way to stop police brutality. No amount of officer retraining will stop police brutality as long as officers view average citizens as subhuman. In just the last two months, Michael Brown, 18, was killed by a police officer in Ferguson, Missouri; Ezell Ford, 25, was killed by a police officer in Los Angeles; Frank Alvarado, 39, was killed by a Salinas police officer; Eric Garner, 43, was killed by a New York police officer; and Marlene Pinnock, 51, was brutally beaten by a California Highway Patrol officer. All of these victims were of color, and all were unarmed. Since these latest incidents, there has been much talk about the need for retraining officers; and there have been repeated calls from an outraged public for investigations by the U.S. Department of Justice and the FBI. But training and federal investigations are ineffective responses to allegations of police misconduct. We know how to solve this epidemic; we just need to find the political will to do it. Before they even don their uniforms, police officers receive hours and hours of training about the appropriate use of force. At the nation’s police academies, they learn how to evaluate situations where force could be an option and when it’s illegal. By the time officers are patrol-ready, they know how to use their firearms, batons, and stun guns. Yet, in response to the chokehold killing of Erin Garner, New York Police Commissioner William Bratton has called for the “retraining” of his officers. Training is, of course, essential to law enforcement. But it would be a serious and dangerous error to shrug off these deaths and beatings by cops and simply attribute them to inadequate training. Retraining is useless when officers view people of color as “f–king animals”—the words shouted by a police officer at a crowd in Ferguson protesting the killing of Michael Brown. All of the training and retraining in the world are of no moment if officers see the people they are charged to protect and serve as subhuman and dangerous. And while some investigations by the FBI and the Justice Department have resulted in major and positive changes to police departments, these kinds of costly inquiries frequently take years to complete. Case in point: the fatal shooting of Brown in Ferguson. The FBI has opened a civil rights inquiry in response to the public outcry, but a week after the shooting, critical information such as the name of the officer, and the number of times and where on his body Brown was shot, has not been released. This is not a training problem. It’s a transparency problem. So, if more training and federal investigations are not the answer, what is? First, police departments must broaden the definition of reasonable use of force. In 1989 the U.S. Supreme Court in Graham v. Connor defined the reasonable use of force as force “judged from the perspective of a reasonable officer on the scene, and its calculus must embody an allowance for the fact that police officers are often forced to make split-second decisions about the amount of force necessary in a particular situation.” That definition has been interpreted narrowly by law enforcement agencies across the country to mean that the reasonableness of the force is limited to an examination of only the amount of force used in the moment. The conduct of officers right before the use of force is never examined. Under this definition, officers who provoke individuals and officers who escalate situations get a pass. Second, cities and counties must establish independent civilian oversight agencies for their law enforcement departments. Civilian oversight of law enforcement is far from novel. Worldwide, countries such as South Africa, Canada, Belgium, and the European Union have police oversight agencies. And there are numerous cities and counties in the United States that have established civilian oversight departments, from Palo Alto, California, to Kalamazoo, Michigan, to Honolulu, Hawaii. (A complete listing of all civilian oversight agencies can be found at nacole.org). In San Jose, California, where I am the independent police auditor, our civilian oversight office has existed for 21 years. The beauty of civilian oversight is that it holds police officers accountable to the public by providing independent review of complaints of police misconduct, instead of relying solely upon internal investigations in which the police investigate themselves. The 1988 murder of 20-year-old Cara Knott by Officer Craig Peyer, a six-year veteran of the California Highway Patrol, illustrates what happens when independent civilian oversight is not a part of misconduct investigations. After stopping Knott, ostensibly for a traffic violation, Peyer made sexual advances on her. When she refused, he killed her by bludgeoning her with his flashlight, strangling her, and then tossing her body over a bridge. It turned out that a number of young women had also been the victims of Peyer’s advances. And while they had filed complaints with the CHP’s Internal Affairs Unit, the department’s internal investigations dismissed their complaints, finding in favor of Peyer. Peyer is now serving a life sentence in a California prison for Knott’s murder. Third, and as Reihan Salam argues today in Slate, every single law enforcement officer should be required to wear body-worn cameras, or BWCs; and every single law enforcement agency should adopt a protocol for the operation of these cameras that strictly regulates when the cameras can be turned off by officers. 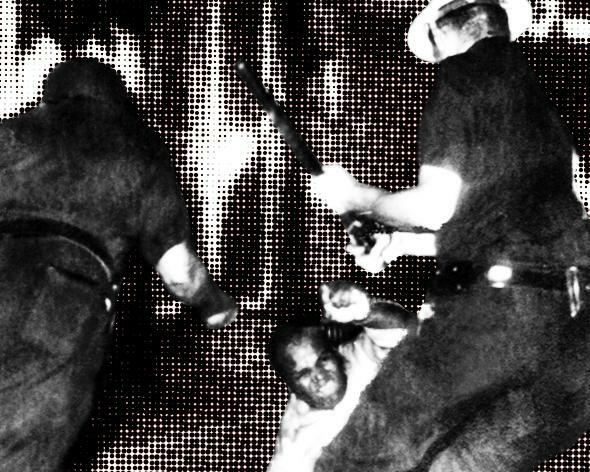 Bystanders with cameras have changed policing forever. Witness the public outrage after the release of videos that depicted the beating of Marlene Pinnock and the chokehold death of Eric Garner. Police officers should have cameras, too. BWCs promote transparency in policing, they hold officers and the public accountable for their actions, and they reduce civil litigation. The police department of Rialto, California, has 115 sworn officers. In 2009 it became the first known police department to utilize BWCs. A study that analyzed the use of BWCs in Rialto showed that use of force incidents dropped by 59 percent, and that civilian complaints about police misconduct decreased by 87.5 percent. Those numbers are staggering. The benefit to police and the public of recording police interactions clearly justifies its costs. Even the ACLU has concluded that BWCs assist in holding law enforcement more accountable to the communities that they serve. Over the last decade, claims against cities and counties across the country stemming from police incidents amounted to $22 billion. The special counsel to the Los Angeles County Sheriff’s Department recently reported that between January 2013 and April 2014, 132 cases of excessive force against the department were closed by settlements or court verdicts, totaling $12,175,000. The largest payout in fiscal 2012–2013 was a jury award of $6 million, settled by the County for $3.9 million. The plaintiff in that case claimed that two deputies escalated a traffic stop into violence, pepper-spraying him, punching him in the head, kneeing him in the face, and slamming his head into the pavement. And don’t forget the attorneys’ fees that are often a key driver in the decision of whether or not to settle or proceed to litigation. In Los Angeles County, for every dollar spent on a payout in fiscal 2012, another dollar was spent on the lawyers, amounting to $43 million. Communities policed by officers wearing BWCs will see a dramatic decrease in litigation and the costs associated with it. All the outrage surrounding the violence against unarmed black people this summer will amount to nothing if we simply settle for more investigations and more training. There are steps we can take to reduce police violence, and they have been proved to work.